The epic true story of Paul Hewson overshadowed by his more successful mate U2's Bono is on in the West End this holiday season! 1970s Dublin. Friends Neil McCormick and Paul Hewson share the same ambition: to form bands and become global superstars. Paul changed his name to ‘Bono’ and his band became U2. Neil’s band never got off the ground. 1987. Dublin gangster Danny Machin wants a fair and balanced account written of his life whilst now-writer Neil is thinking of ending his. Danny sees an opportunity and kidnaps him. Neil becomes Danny’s biographer. Danny becomes Neil’s shrink, probing the reasons for Neil’s succession of disastrous decisions. Adapted from Neil McCormick’s wise and witty memoir I was Bono’s Doppelganger, this comedy about failed ambition recounts a tale of life-long friendship and rivalry with his mate/international superstar Bono. Children under the age of 14 are not permitted. 6 December 2018 - 19 January 2019. 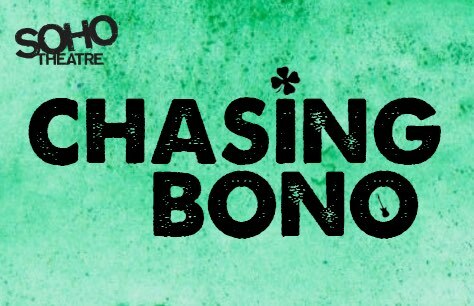 Chasing Bono was fabulous! An absolutely hilarious and poignant show from start to finish which we would love to see again! Really enjoyed the performance and the intimate nature of the sho theatre.